Have you heard of the new super honey? Surgihoney is a revolutionary product which is able to take care of all kinds of skin problems – from a pimple to infectious wounds. Scientists from the Hampshire Hospitals claim that they have been experimenting with this natural remedy for more than a year. Their confidence in the engineered Surgihoney is certainly admirable. Particularly, the product represents a powerful stance against antibacterial resistance. It is even supposed to be able to protect your skin from the methicillin-resistant superbug Staphylococcus aureus. 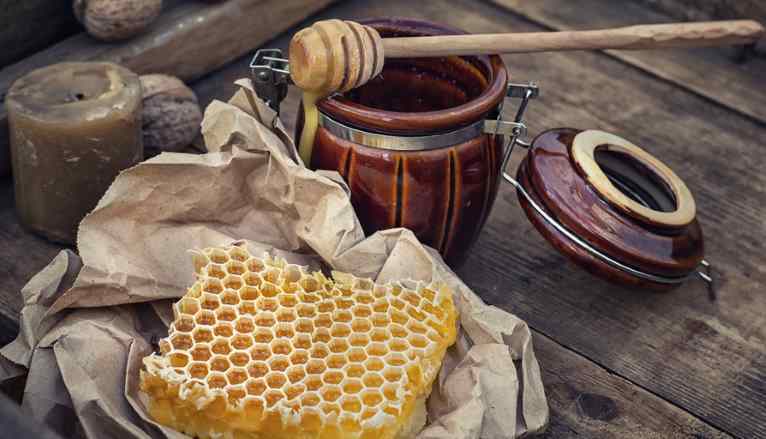 While honey, in general, is known to be able to combat this germ, this fabricated kind of honey is supposed to be able to fully protect humans against it. We are inclined to believe in this cure, as honey was employed as medicine against it in past civilizations, such as ancient Greece and Egypt. Have you heard of the new super honey? Surgihoney is a revolutionary product which is able to take care of all kinds of skin problems – from acne to infectious wounds. Indeed, the normal variety of honey is already a powerful remedy for a myriad of ailments. However, this newly developed kind of honey is meant to be an efficient fighter against almost every type of bug. How does it work? Surgihoney comes in the form of an ointment made for direct application on wounded regions of the body. The antimicrobial function of SurgihoneyRO is a result of the release of Reactive Oxygen onto the affected area. As hydrogen peroxide is broken down, it releases a fixed amount of Reactive Oxygen at a specific rate of three days or less. The amount of RO that is released is small and evenly distributed throughout the specified time. This is different than the usual way that hydrogen peroxide is used for treating infection, which is to apply a more hefty amount of it over a shorter period of time. This way of application brings the risk of additional tissue modification, due to the large amount being released during a short time frame. In contrast, the manner of application of Surgihoney’s Reactive Oxygen allows for a more gentle treatment of the affected skin tissue, while still being more effective against resistant microbes. Certainly, RO has excellent remedial power against destruction of tissue as a secondary messenger to non-lymphoid cells, the regulation of angiogenesis perfusion, as well as to immunocytes. The Reactive Oxygen species, and primarily – hydrogen peroxide, is a great solution against inflammation, as it is unstable and it quickly disrupts H2O and O-, therefore inhibiting any microbes. It does so by disturbing cell structures, such as their membranes and DNA. The concentration dependent activity and its toxicity help your cells counter bacteria successfully. Indeed, not only does the RO kill infectious bacteria, but it also calls forth the cells that are necessary for repair, and even encourages the development of new tissue. Specifically, the substance is a great remedy against wounds on skin areas that simply take too long to repair themselves. For instance, the product can be useful in treating burns, which normally take a long time due to the extreme damage that skin sustains when burned. It is also similarly efficient in terms of inflamed injuries resulting from surgery, recurring limb ulcers, pressure injury, etc. How has Surgihoney fared so far? The substance has been proven to be effective on negative and gram-positive microbes. These include but are not limited to known, harmful bacteria, such as Esherichia coli, MRSA, Pseudomonas aeruginonsa, etc. Beside attacking self-standing microbes, Surgihoney is also efficient in combating biofilm aggregations of microbe colonies, such as those found in acute inflammations in vitro. This has already been tested by researchers from the National Institute for Health Research. Sixteen particularly insusceptible microbes of all kinds, such as CRE Klebsiella pneumonia and Acinetobacter baumanni, were tested against Surgihoney and all of them were forestalled from forming biofilm. In fact, the product has already been used on hospital patients, and even on people that are especially susceptible to sickness, such as mothers and babies. In general, elderly people with long-term illnesses may end up needing Surgihoney to help them with would treatment. Scientists are testing its potency on intravenous chemotherapy patients, and on people affected with Carbapenem-resistant Enterobaceriaceae, in order to ensure its usability. A clinical experiment which tested the product on 114 persons with wounds that had so far resisted management. Their wounds were quite differing, in order to ensure the validity of the experiment. The test subjects’ wounds were nearly equal-part traumatic wounds, pressure ulcers and leg ulcers. A few less people were affected by wounds resulting from surgery and several people were ailed by ulcers resulting from diabetes. Moreover, it was ensured that the subjects came from varying backgrounds and different parts of the globe, so as to maintain full arbitrariness. The subjects’ ailments were cared for with the newly-developed ointment. All patients experienced less pain and a lower level of microbes within their bettering infections. The majority also saw a change in the way tissue was healing, leaving them with less dead tissue. All in all, 79% of the treated subjects came out of the study in a general better condition, while 21% of them were completely cured. Evidently, the outcomes have consistently been positive. Granted, these effects of Surgihoney sound like this may be the new product that we should be looking out for. Still, it gets better. Not only can this remedy help manage existing wounds, but it can also provide preventive care. Indeed, Surgihoney has been known to forestall the development of infection, as well as implementing surgical prophylaxis. Although hospital stays after surgery already cost an arm and a leg, these may be elongated by potential post-surgery infections. Surgihoney may be the product to put an end to that. For example, the substance was found to help treat post-birth inflammation of Caesarean wounding. The ointment was applied right after the surgery and it decreased infection rates by more than half. Th rates after treatment were a meager 2.15%, from a 5.4% before treatment. This is great news as post-Caesarian infections are very common, reaching up to a tenth of the female population. If this information has made you curious, rest assure that it will take some time for this type of honey to become widely available. Scientists are still conducting further clinical experiments with the ointment, in order to ensure its usability. Still, the British Medicines and Healthcare Products Regulatory Agency has already approved Surgihoney as a viable cure for various skin issues, so we are quite impatient to try it out!